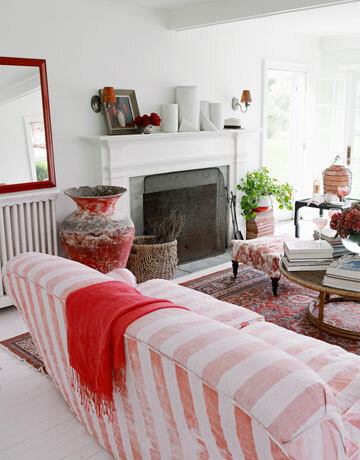 Mix and Chic: Home tour- A Hamptons home in red, white and vintage! 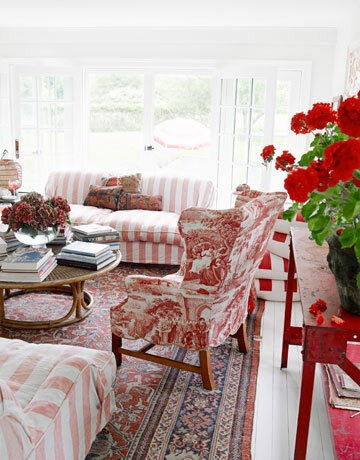 Home tour- A Hamptons home in red, white and vintage! 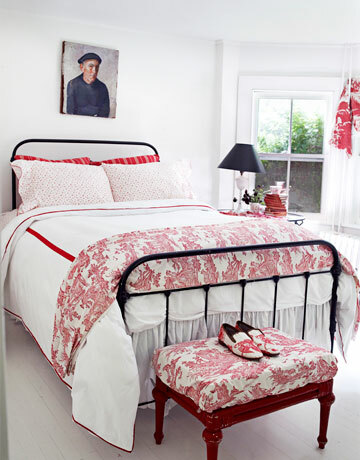 Today, I picked a beautiful home tour in red and white with a hint of blue to commemorate the coming Fourth of July. 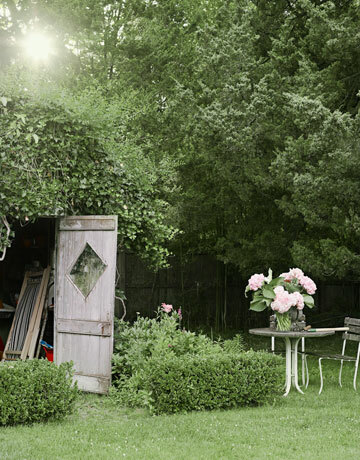 This weathered home in Bridgehampton, New York belongs to design consultant Ellen O'Neill. 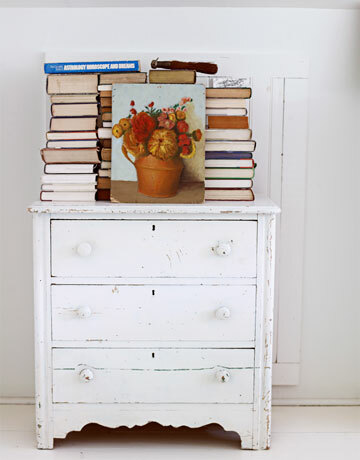 She filled her rooms with Parisian flea market finds, bold pattered decor and a restrained color palette. 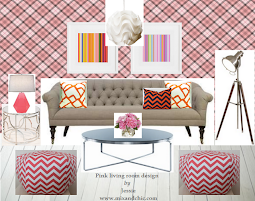 When it comes to her four bedrooms, she just bought everything in red so it's interchangeable and convenient. How smart! Now, let's take a look at her lovely home. What are your thoughts? 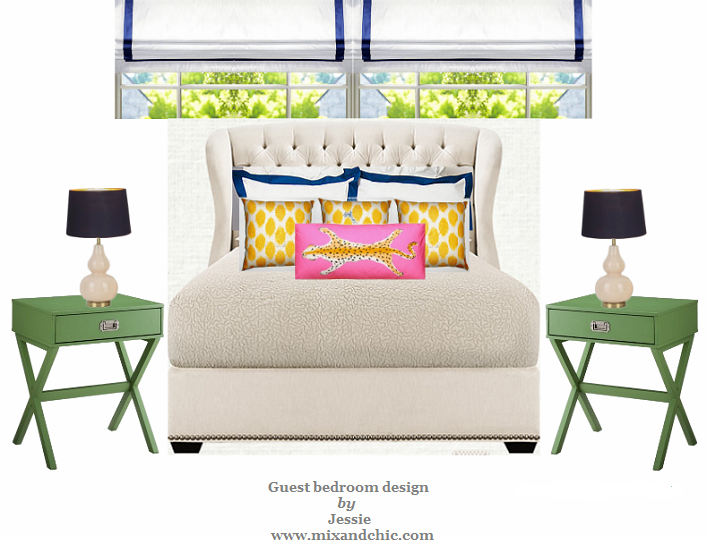 Any favorite room or any elements that catches your eye? 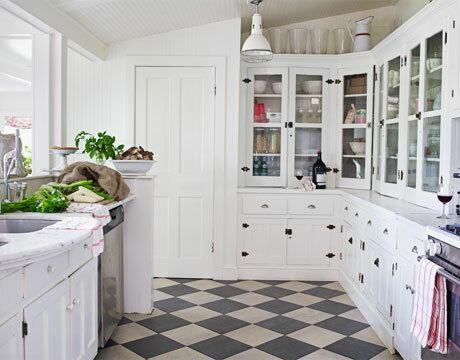 Personally, I am in love with her dining room and her bathroom. 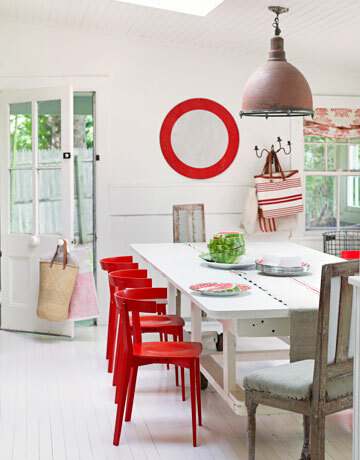 The red dining chairs are very striking and pretty while her bathroom feels very fresh and inviting. 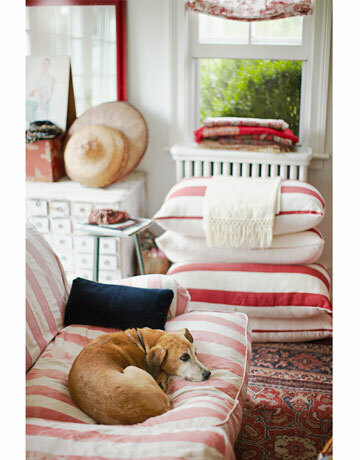 Overall, this is an absolutely gorgeous home that looks very lived-in, feels very cozy and comfortable. 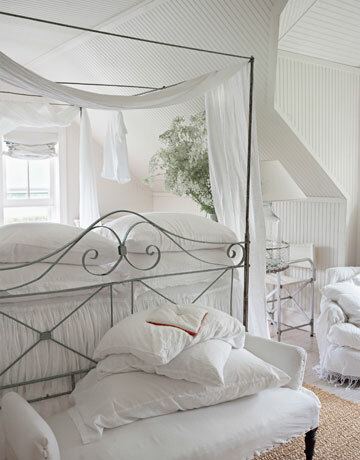 and all the other rooms are dreamy. 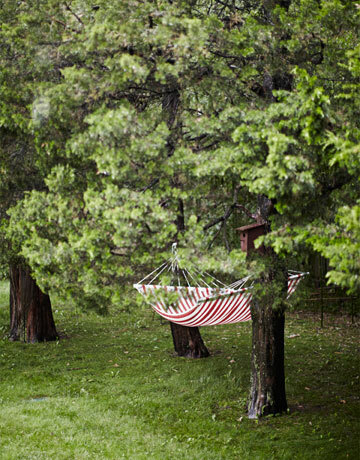 I'd love a hammock like that in the backyard. Beautiful, festive post for the weekend! WOW!! THe beach balls in the tub, the all white room, the kitchen flooring...I am in love!!! 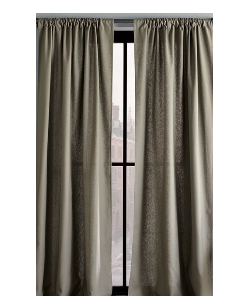 Love the vinatgey feel...looks perfect for a getaway home ! 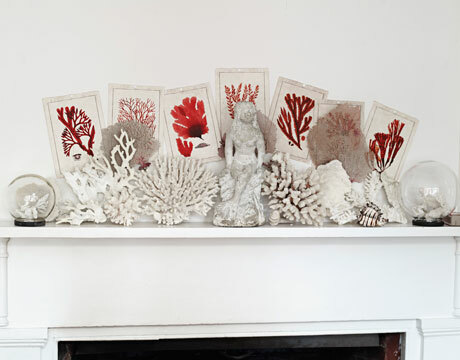 And I am in love with the coral over the fireplace !! I love the splashed of red, looks so fresh. 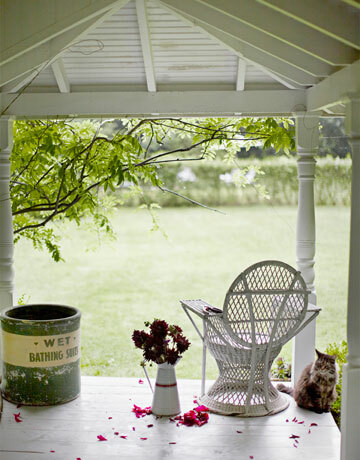 The way she displayed the coral is stunning - would adore a summerhouse like that. Happy 4th July Jessie. PS: forgot to tell you that you are my GIVEAWAY winner sweetie, so please let me know which 3 pictures you prefer and they will be on their way.